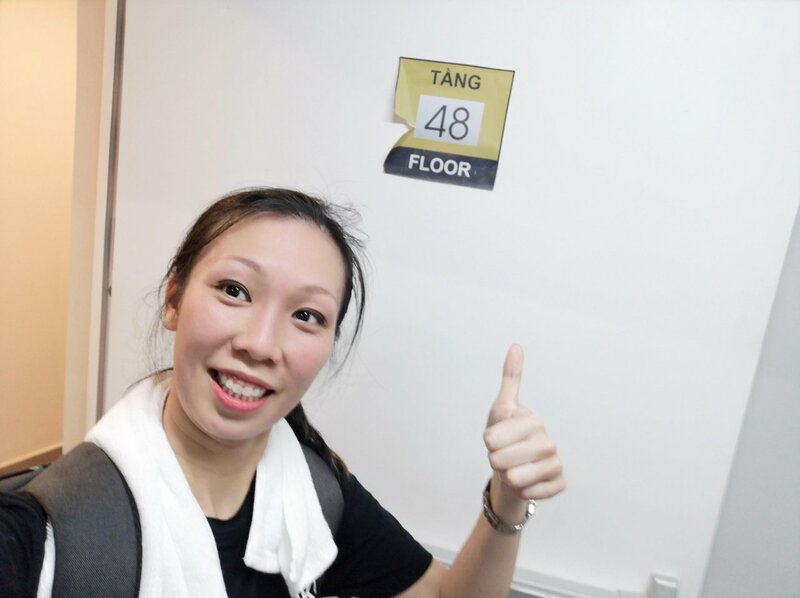 Ulog #33 | I'm no Marathon Runner but I achieved 48 storeys of Vertical Marathon ! 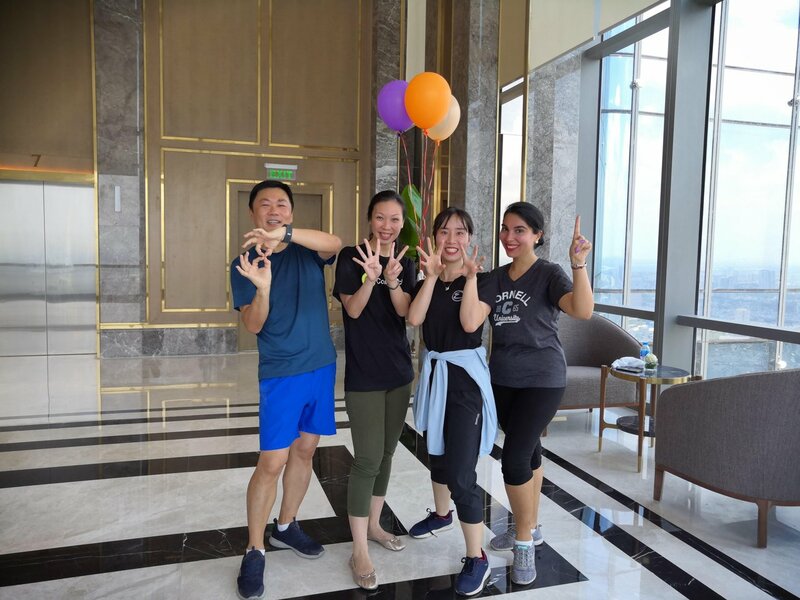 I was invited to challenge myself to join the first ever Verticle Marathon on the highest hotel building in South East Asia. To be honest, I never knew that such marathons ever existed. Yeah ! Sure I was aware of the road marathons but verticle ? So, when I was invited, I immediately said yes, thinking that if I could deliver two boys by natural birth, I could do this! 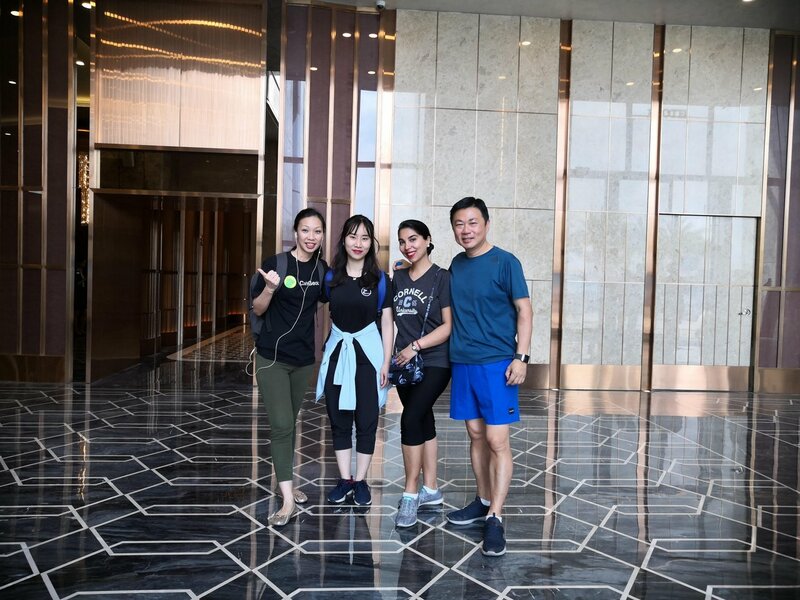 At 10.00am, four of us prep ourselves and agreed to meet up at the lobby before we geared ourselves mentally at least for the unexpected marathon. None of us had ever done this before so none of us were physically nor mentally fit for this exercise. We agreed it wasn't going to be a competition. It was either going to be a 48 or 81 storey uphill since these were the only exits for us. Step by step, one breath after another, floor by floor... It was getting harder and harder. The air quality wasn't good either as the cleaning up was yet to be completed. I'll admit that I knew getting to 81st floor wasn't my target but if I could achieve 48, I'm be damn glad. AND I DID IT !! 48 storey of verticle marathon is 30 minutes. My other fellow colleagues managed to get themselves all the way up to 81st floor in about 45 minutes! Thumbs Up to all of us for breaking the barriers and pushing ourselves not only in mind, body but in soul!